Microsoft may find it harder to beat the iPod than even the most pessimistic Zune salesman has feared - a survey of Zune owners has discovered that 70 per cent can't wait to get shot of the Microsoft-created device. The shock news for Redmond comes from a survey by Eagle Research Group. It learned that the overwhelming majority of Zune owners would swap their device for an Apple iPhone or iPod as soon as their current mobile contracts were up. This is survey results will be depressing indeed for Microsoft who've said they want take on the iPod... and win. The biggest reason or Zune owners cite wanting to switch is Cover Flow. This Apple iPhone feature enables you to browse your music library by flicking through album art using the iPhone's multi-touch display. 36 per cent of all those surveyed also said they regretted buying a Zune as soon as the iPhone was announced at Macworld in January. 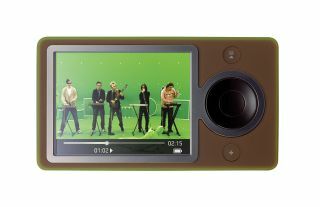 The Zune was launched in November last year with one million players shipped to date. Microsoft says it will launch a wider range of models and styles the run-up to Christmas 2007. Specific details have not been announced. However any new Zunes will have to contend with a resurgent iPod line, which is also expected to get a revamp in time for the holiday season. Rumours persist that a new iPhone may appear in time for Christmas too.